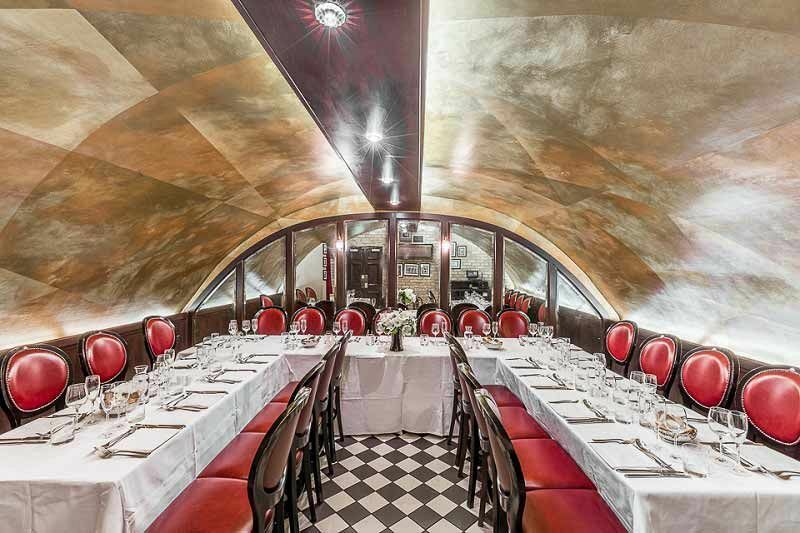 Experience luxury in the sophisticated ‘Vaults’ this Christmas and discover a private dining area at this popular restaurant situated in Covent Garden. Situated East of the historic Piazza, this venue overlooks the bustling market area and is just a short stroll to Covent Garden Tube Station. With this fantastic exclusive Christmas package, you and your team will indulge in a sumptuous three-course festive lunch from the mouth-watering Christmas menu. On arrival to the venue, guests will be treated to a delicious chilled glass of Prosecco to mark the start of the festivities. The lunch begins with a tasty bread selection, before tucking into a delectable starter and enjoying one of the hearty mains. Choose between roast butternut squash, pressed game, venison and duck duck terrine or the Scottish smoked salmon for starters. For mains, you could keep things traditional with turkey, or if you want to opt for something else such as the salmon, confit duck leg or the vegetarian Portobello mushroom and stilton Pithivier, then there will be something for everyone here! Many of the options are also Gluten Free so no one has to miss out! For dessert, you’ll be spoiled for choice with the delicious options available – will it be the Christmas pudding, the double chocolate brownie or the Winter spiced poached pear and frangipane tart? The dining experience concludes with freshly brewed tea and coffee. The atmosphere is welcoming and friendly and you can rely on the dedicated team here to provide you and your private group with a completely unforgettable Christmas experience – make sure you send an enquiry through to the venue today! 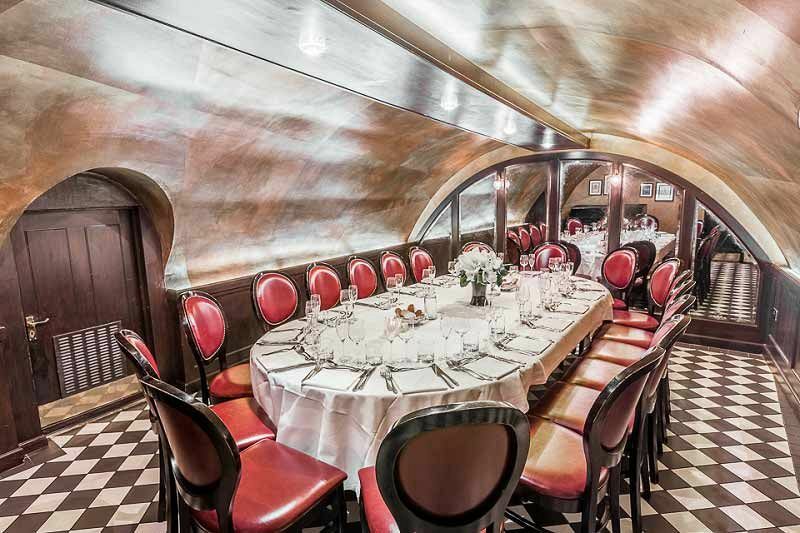 (Private dining room package includes a welcome glass of prosecco and after dinner tea and coffee).